Living in Melbourne, Victoria we are spoilt with easy access to the world's best temperate water, scuba diving including: amazing coral reefs, great wreck dives, fantastic shore dives, plus a huge variety and quantity of marine life. But even those who live in paradise feel the urge to go elsewhere occasionally. For more information please see Melbourne Boat Diving Schedule. Please note that we do not run guided dives. The Scuba Doctor regularly organises dive trips to the world's most spectacular locations and scuba diving sites. If you are an experienced, certified diver looking for the best diving trips to go diving on, then The Scuba Doctor is here to help you. Scuba diving vacations are becoming very popular amongst dive enthusiasts who don't like just lounging around a hotel pool all day long. 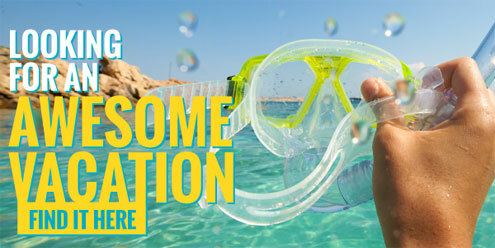 Scuba diving trip packages are available to scuba dive destinations worldwide now. But not all of these diving vacations are as good as they're made out to be. The Scuba Doctor only offers the best of the available dive trips. Plus, our dive expeditions are led by our own professional staff. Thus, you can be assured of a great scuba diving trip, experiencing the very best of what the undersea world has to offer at fantastic dive spots around the globe. The Scuba Doctor can also assist you in arranging your own independent diving expeditions. Please Contact Us to discuss your plans.